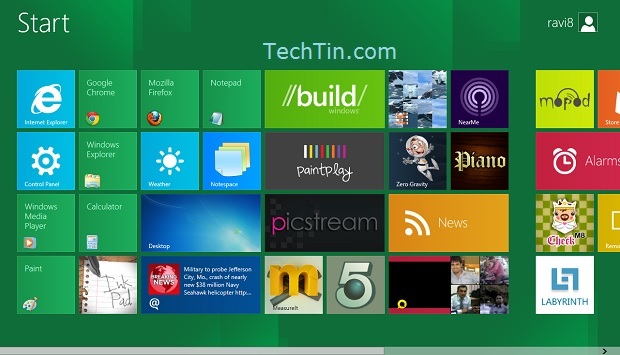 Windows 8 is first Windows OS that allow to add users using an online account. 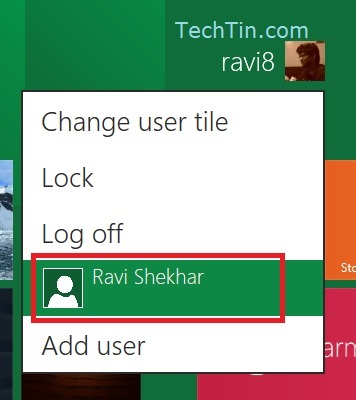 In windows 8 you can create two types of account. Windows Live ID (aks email address): you can use an windows live email ID to login in windows 8. Windows Live will sync on your windows 8. 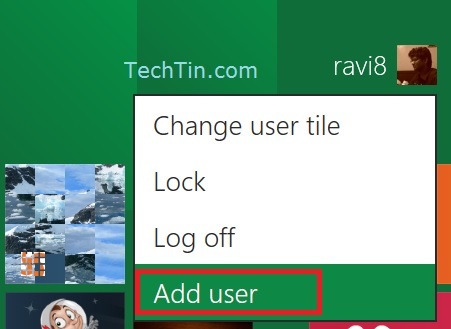 Your windows 8 settings will be saved in your windows live account. You can use this account to login in multiple windows 8 system. Local Account: This is local account of your windows 8. A local account can login only on its windows 8 system. It will now sync settings on multiple windows 8 system. Settings are not saved online. Benefits of windows 8 Live ID account. Go to Windows 8 start screen. 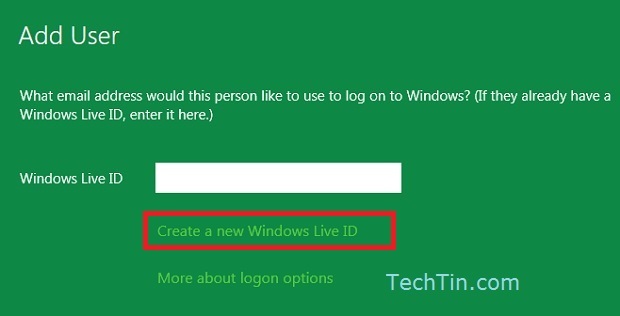 If you want to use your existing Windows Live ID (email), then enter your live ID and click Next button. Make sure your windows 8 is connected to internet. Fill up and complete new signup forum. Use UP and Down arrow key to select different option from drop down menus. 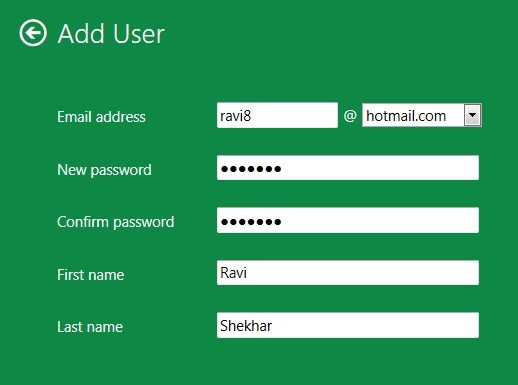 After completing the new signup account form, a windows 8 user using windows live ID will be added on your windows 8 system.